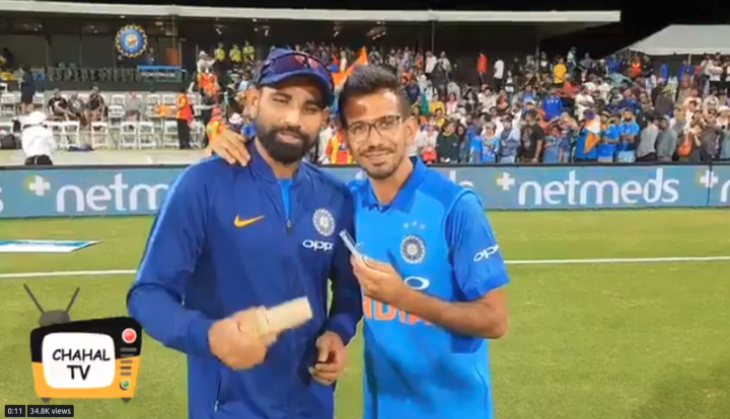 After Kuldeep Yadav, Rohit Sharma and Virat Kohli, it was Mohammed Shami’s turn to debut on Chahal TV. Mohammed Shami was given the Man of the match award for his three-wicket haul in the third ODI against New Zealand. Chahal asked questions like the atmosphere in the dressing room and his relationship with fellow pacer Bhuveneshwar Kumar. During the interview Chahal referred to Mohammed Shami as ‘Lalaji’. Here’s the video of Chahal and Shami after India’s 7 wicket win over New Zealand.